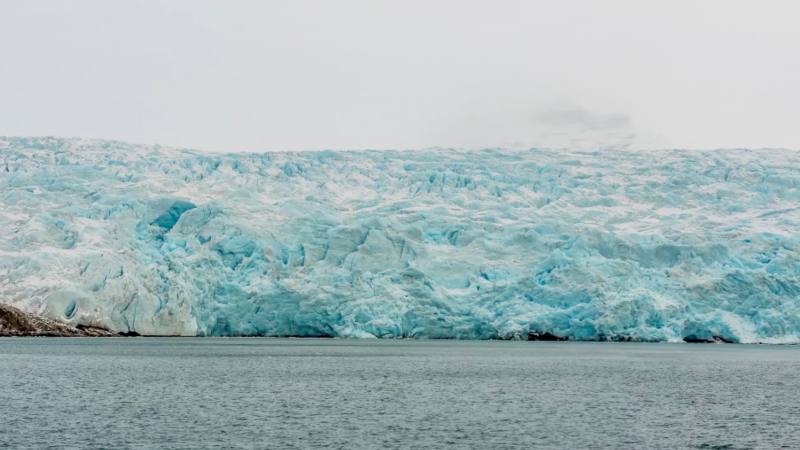 FROZEN SONGS IS A WORK BY NORWEGIAN CHOREOGRAPHER INA CHRISTEL JOHANNESSEN INSPIRED BY THE GLOBAL SEED VAULT IN SVALBARD, A REPOSITORY OF SEED SAMPLES FROM ALL OVER THE WORLD, KEPT PROTECTED IN AN UNDERGROUND CHAMBER DEEP BENEATH THE PERMAFROST. 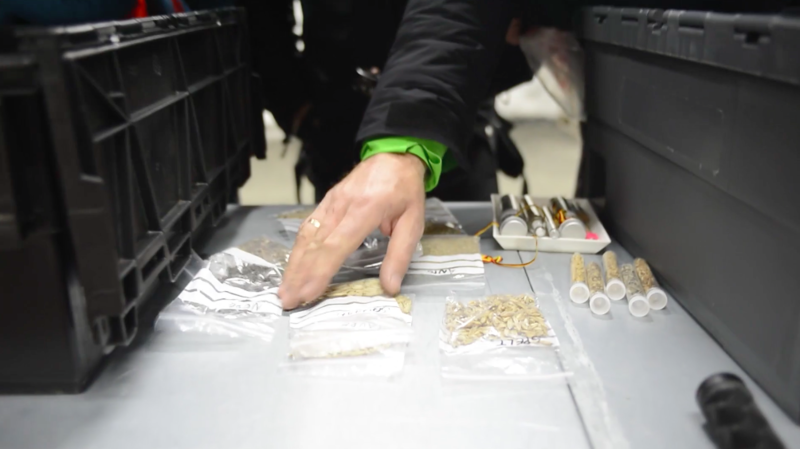 HERE, INA SPEAKS TO IRISH VISUAL ARTIST FIONA HALLINAN ABOUT HER RESEARCH INTO THE VAULT AND HOW AN ENCOUNTER WITH THE FUTURE OF THE WORLD'S SEED STOCKS TRANSLATED ONTO THE STAGE. F: So have you done work inspired by research like this before, would that be a typical starting point? I: Mmm… no… not quite like this, I mean this is so huge. We’ve been working for two years on this project. Before doing the physical stuff, we went to Svalbard two years ago to visit the seed vault, because I was invited to do something with it. And the more research we did, the bigger it got. 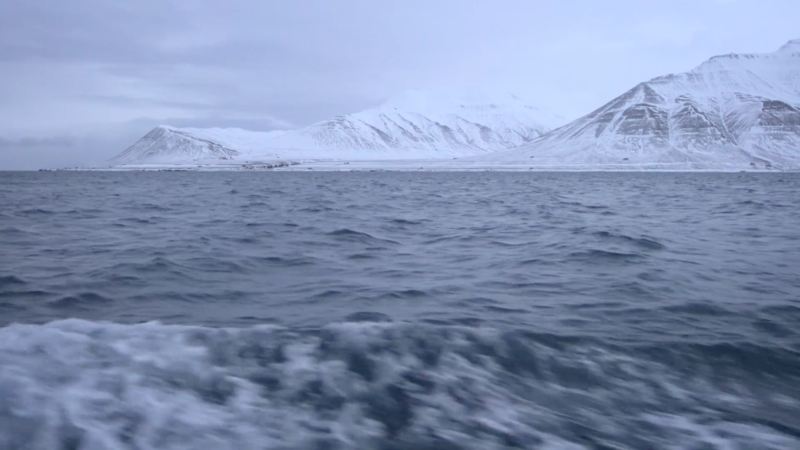 The whole of Svalbard is so remote, the location was chosen because it’s away from all the conflict areas in the world and it’s also because it’s so far north, so close to the North Pole, so it has a stable low temperature. So even if the seed vault, which is deep inside the mountain, even if there was a failure of the electronic security system, it still would stay below fourteen degrees forever, because it’s permafrost there. 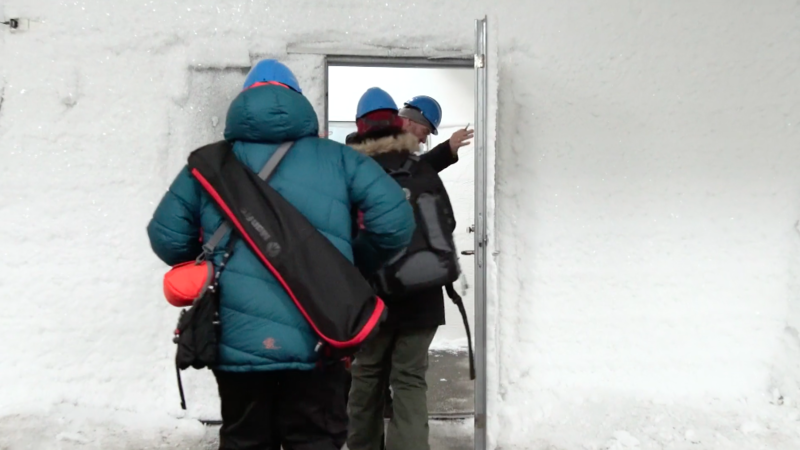 There are a lot of international scientists at Svalbard researching climate. Because it’s so remote, it’s not spoilt compared to other places in the world. 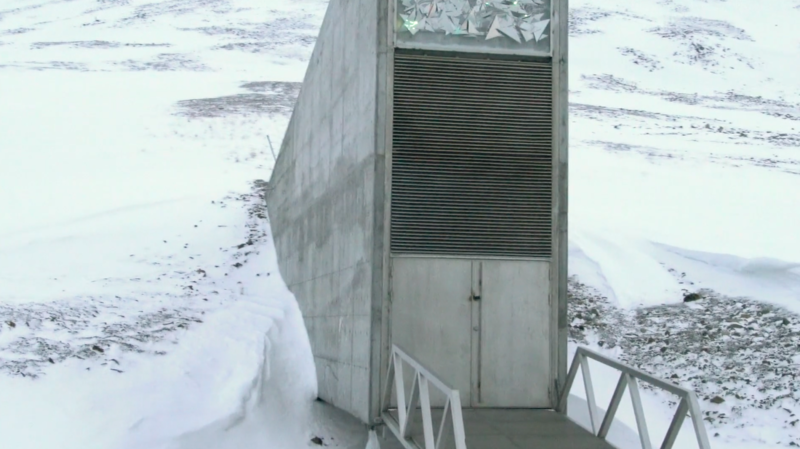 And it’s called the seed vault but it’s also called the doom vault because if ‘doomsday’ happens, if there’s a disaster, natural or manmade, or a war, then this is a backup plan. So there are samples of different varieties, from international countries, so it’s like a bank. It’s made by the UN, and the full administration is in Norway, but everything in there is owned by each country. So, like, you come with seeds for potatoes from Bolivia, you bring your own box into the vault and it’s your box. It’s like a security so, if you need the seeds or the genes from the seeds, you can take it back. So Syria is the only country who’s taken theirs back so far because the seed and genes bank in Syria was bombed. There’s a very beautiful movie actually called Seeds: The Untold Story. Have you heard about it? I: Oh it’s beautiful! I mean, I have some critical points but it talks a lot about Monsanto because of what they are doing, how they have destroyed a lot of agriculture in India. After the tsunami, the Indian farmers gave away all the seeds they had been collecting for generations, you know, when you grow plants and you get more seeds back for the next year, it’s like you’ve invested in your own bank, it’s your own personal seed vault. And then they gave it away because they bought these seeds from Monsanto which were stronger and better. But it turns out that the seeds are sterile - they don’t produce more seeds. You have to buy new seeds. It’s like you can’t invest. So the movie is about that. And all these people, they’ve all started to make their own seed vaults. That’s what we should do, we should all have our own little private seed bank in our freezers. It’s a beautiful movie. F: It’s interesting to hear you describe where the seed vault is, it’s like we’re protecting it from ourselves, finding the farthest away place from human beings and putting it there to protect it. There’s this consciousness of how destructive we are. I: It’s also near a place where there’s a civilization, there’s a community around, they can be there if there’s an issue with the technical equipment. It’s also in the area where there are no earthquakes, so it’s calm. And it’s quite far away from manmade conflicts, but the Russians and Norwegians are established in Svalbard. It’s Norwegian territory, but there are parts where there are Russians coal digging. There are seeds there from all over the world - the only country who hasn’t participated is China. F: And why is that? I: Because China has been in conflict with Norway for many years because we gave a peace prize to the Chinese dissident who died recently. He was in jail because the Chinese thought that he was a danger to the security of their country. And Norway gave him a Nobel Peace Prize. And so it was seen as Norway criticising them. But now there is more political balance between Norway and China. But in all this, there’s the question of how much are you telling the audience? Do you tell them, you know, take care of Monsanto, be a nice guy, recycle… Journalists ask us ‘Do you have a message? What is your message?’ And I say well, do I need to tell you that we are in a big emergency, do I need to tell the audience that garbage and pollution and climate change, it’s all over us - do I need to tell them that? So what can I do as an artist? I can show images or I can try to touch or move the audience in a way so that they can feel like they can actually do something. What you read in the newspaper all the time, you receive this information in another way. We had a pre-show talk with international scientists working in Tromso, and there was a woman from New Zealand there and it was so nice, because she became so emotional watching the show, even though she works with this information all the time, she became really emotional about it. Scientists can’t work with emotions, they have to keep their heads clear and cold. So she said we should do more science and artwork together. I would like to tour with scientists, have a pre-show talk with scientists going into the facts so that I don’t have to do the facts on stage. F: Just going back for a moment to when you said about there being a big emergency, I guess you do feel there is an emergency and I do too, but I wonder if that was something you already felt that was intensified by going to the seed vault or did you feel in any way that going to see the vault put your mind at ease and made you feel less concerned? I: No, actually, even just the name of it, the ‘doomsday vault’ nickname, and the snow melting in the north, it’s so visual, it’s so clear, when you go there you really see the snow melting, you see the change that is happening at Svalbard and in the surroundings. F: One thing I found from learning a little bit more about seeds and archaeology is that it’s human beings that are likely not to survive. Seeds have existed for so long and they use us almost as messengers to travel. And I found that strangely reassuring, this idea that while we’re the destructive ones, we’re not going to see the end of nature, because it’s able to survive more than we are, it’s more powerful. So there’s something kind of interesting about the seed vault because I guess it’s human beings trying to control or contain these things which in a way maybe don’t need us at all. I: Yes - we have a little section with text in the show where there is something like a discussion between the performers. They’re disagreeing. 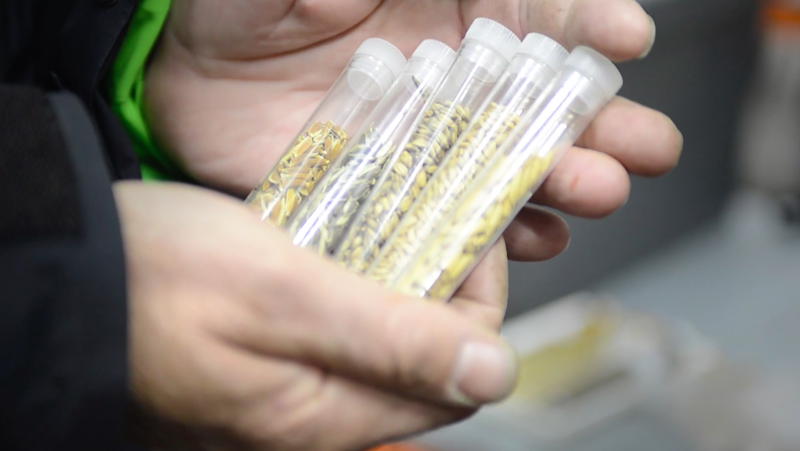 Some are saying the seed vault is amazing, whatever happens the seeds are safe. And then the others are saying no, because it’s already been flooded, but yeah they will manage fine! They don’t need us. So we have these voices not agreeing. No, actually the vault isn’t needed. Nature will manage. We humans will probably not find a way to survive it, but they will find a way. Definitely. F: Did you visit other institutions? Places like hydroponic farms or botanic gardens, or other places that try to conserve different species. I: No, I think I was more interested in the danger part. I did much more research into plastics - micro and macro plastics. F: And what did you research on microplastics? I: Well you know we’re full of plastic? It can actually go through the membranes of the cells. So the plastic is there and we don’t know yet what the damage will be. F: Yeah, I first read about this in an article and it said that seawater is full of tiny particles of plastic. And it’s also in sea salt. So are you talking about how this plastic is finding its way into our bodies and the repercussions of that? I: Well this was more what was informing our research but I’m not sure if it’s there in the performance. We just ended up going back to the seed vault, and over the course of two years I found that I really wanted to say something important. And we started arguing a lot in the group, because we’re a big international group - two composers from Belgium, a Chinese dancer, Finnish, British, Swedish… and then we have a producer who is Italian. So it’s a bit of a mix and also political opinions were very different also. So we thought about what do we want to say? Do we want to have a message with this piece? And then we started discussing the world economy and then we ended up like, if the world economy was changing, if we all became vegans and you know all this… and then of course it’s becoming too much, impossible to have one message. And you also have to try to have the piece of art, you have to have openings for reading. F: You spoke earlier about this kind of discourse between the performers, and disagreement. When you were saying earlier about art and science together, and maybe that thing of art having room for emotions. I think this is something that art can allow for as well that science maybe is less able to, because you can work on a research process that allows for disagreement and you don’t have to choose one formula or one line to go down, one proof. You can allow for a few different opinions. But I wonder if you found was there a lot of underlying agreement between the performers? Like were there certain things that everybody could agree upon? I: Yes definitely, definitely. But more how to do it for instance, it’s like, each one of us we need to believe ‘I can change something if I’m vegan, or if I recycle, if I don’t use plastic bags, I believe this helps.’ But it’s not just the people, it needs to be the government. Also under discussion was how much the government or politicians decide so I don’t have to because I’m just following them. There were different perspectives on that depending on where we were in the age range of the group, or the different nationalities. F: The last question I was wondering about … I had the nice opportunity in my project to see these seeds that were from nearly a thousand years ago and had been preserved. And they had been preserved because they had been burnt in fire and that meant they’d remained intact over all this time, but I was really enthralled by the beauty of the seeds. I wonder if that was something you had the chance to experience visiting the seed vault? I: No, in the seed vault is not really beautiful, it’s really practical. At first we found beautiful images of seeds and wanted to have that as a visual element, but then actually we took that all away, so the visuals are much more of nature now, ice or burning rainforests, bigger things than the seeds. F: I guess showing visuals of the environment more generally, you’re showing what’s at stake when we talk about seeds. They contain the information but it’s really what they have the potential to produce that we’re talking about. Frozen Songs by Ina Christel Johannessen / Zero Visibility Corp runs at Dansens Hus, Oslo as part of CODA until October 26th. 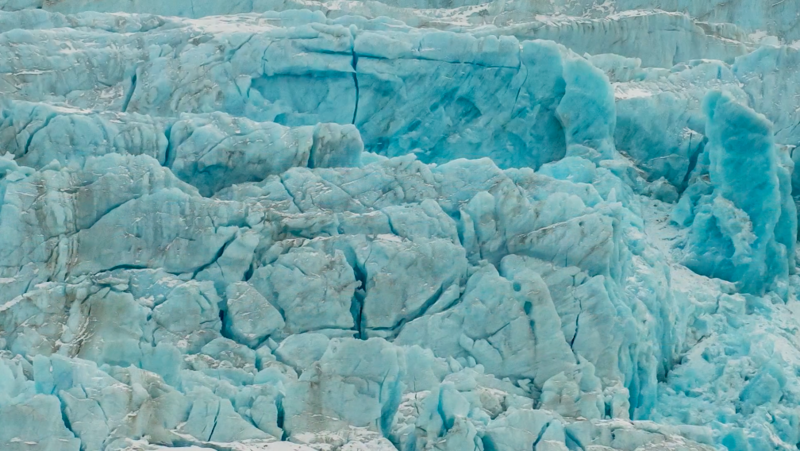 Images: Screenshots from Yaniv Cohen's short film on Ina's research trip to Svalbard.